Once you have decided to try a kidney stones home remedy instead of allopathic treatment, you will find there are many natural remedies for passing kidney stones to choose from. How do you know which one is the right one for you? You can't just try them all. Things will get out of control. Don't worry. Know that you are not alone in this. Many people ask the same question every day, and they find it is hard to find which kidney stones home remedy works best for them. This is why I've sieved through herbalists' articles, studies and real people questions and answers to complete this essential, yet simple FAQ for anyone who wishes to use a natural remedy. 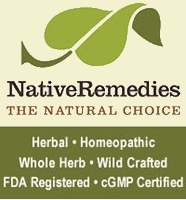 #1 What is the best natural remedy for passing kidney stones? #2 What are the signs of kidney problems and when should I see a doctor? #3 I have a large stone that won't pass. Can I try a kidney stones home remedy? #4 How do I prevent the formation and dissolve my stones? #5 I followed a natural treatment. How long do I have to wait for the stones to pass? #1 - What is the best natural remedy for passing kidney stones? To find an answer to this final question, first ask: What kind of stone do I have? Not all stones are alike. Because of this, the kidney stone treatment you choose must be right for the type of stone you have. The most common type of stone is made of excess calcium salts. Excess uric acid can also form stones. Struvite stones form after an infection in the urinary system and contain the mineral magnesium and the waste product ammonia. Cystine stones are rare. Cystine is one of the building blocks that make up muscles, nerves, and other parts of the body. #2 - What are the signs of kidney problems and when should I see a doctor? See your doctor if you have blood in your urine (urine will appear pink) or if you have severe pain in your back or side that will not go away. #3 - I have a large stone. Can I try a kidney stones home remedy? Most stones (below 7 mm) will pass out of the body without a doctor's help.. There is a controversy as to whether herbal remedies can help breaking and passing large stones. With today's modern techniques of stone removal, this needn't be a question. However, herbal remedies for kidney stones can help prevent stones formation and assist the passage of sand and small stones. Q4 - How do I prevent the formation and dissolve my stones? Prevent the formation of urate stones with Birch leaves (Folium Betulae) tea. It has anti-inflammatory properties and is a very good antihilitic (prevents the formation of calculi). These stones are dissolved in acidic urine. You can cure easily urinary tract infections and dissolve these stones with large doses of ascorbic acid (vitamin C) from natural sources. Fresh parsley is a great kidney stones home remedy and a natural source of vitamin C, vitamin B-6, magnesium and potassium. Vitamin C doesn't dissolve calcium oxalate stones (the most common ones). Instead, take adequate quantities of B-complex vitamins and magnesium. Red Clover blossoms and Dandelion are herbs high in calcium, iron and magnesium. To prevent them, drink more than a gallon of water every day to dilute the concentration of cystine in the urine. This can be difficult, however, because a third of that water must be drunk during the night. #5 - I followed a natural treatment. How long do I have to wait for the stones to pass? Don't expect to remove all stones in a day or even a week, unless you are very lucky. They usually pass in a matter of months. Herbal remedies are simple, effective and affordable! Armed with all this knowledge, you can choose the best kidney stones home remedy that is right for you!